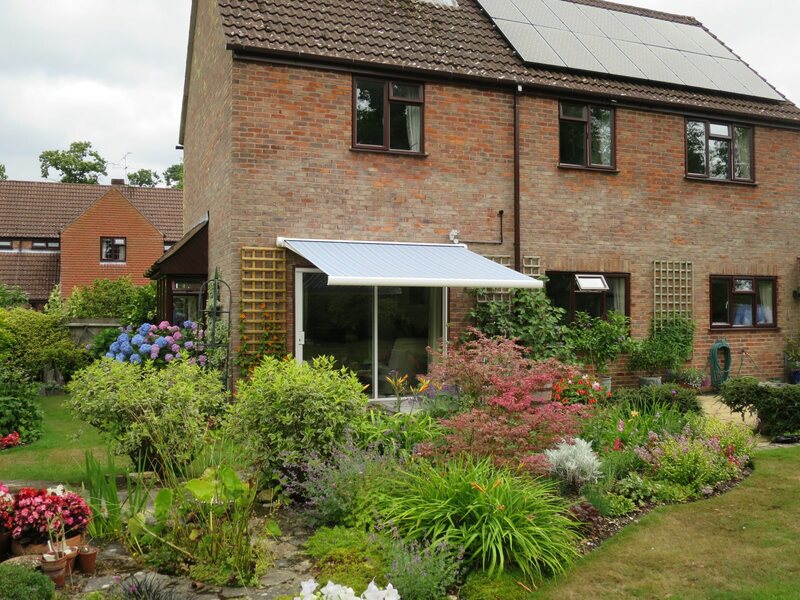 We fitted this simple yet smart and modern electric awning in a beautiful garden in Farnham, Hampshire. 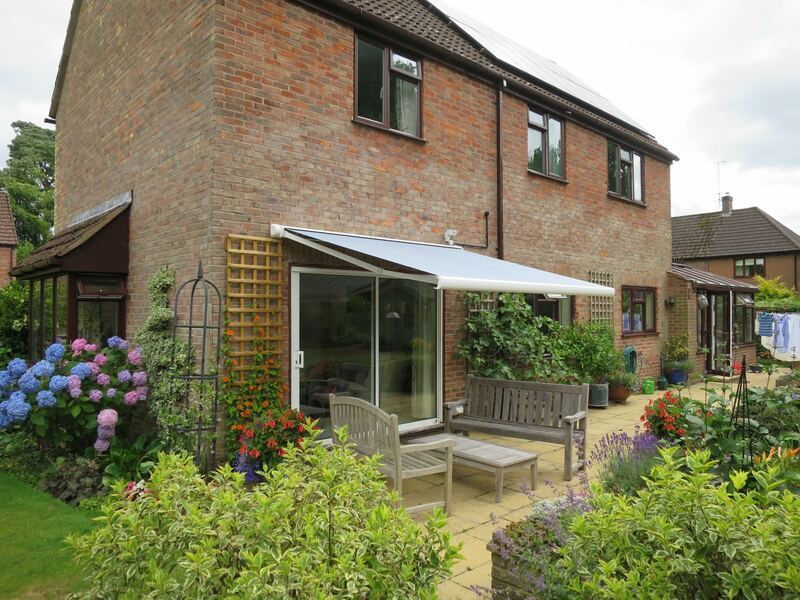 An awning from our Hampshire Range provides the perfect shade for the South facing patio door and creates a lovely shaded area in which our client can relax and entertain. The colour “Manosque” blends in perfectly with the property and gives a cool blue feel to the patio. 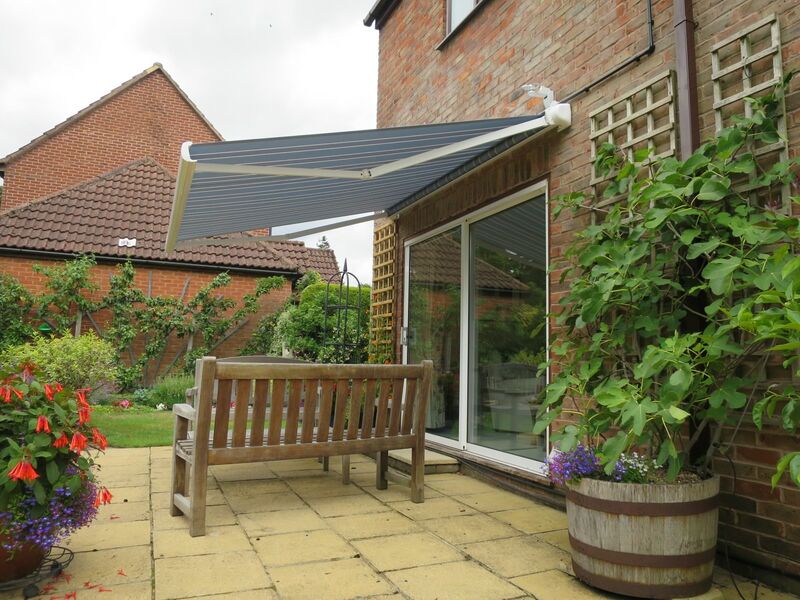 We suggested fitting an electric awning with a wind sensor to protect from gusting wind.